Wally Drangmeister is a communications and marketing dynamo. He brings a deep background in business, public policy along commitment to the success of Albuquerque to his role as host. The ABQ Show visits with Duke City Roller Derby. Check out what is happening with flat track roller derby in Albuquerque! Betty Oop, Kell’s Inferno, Meep Meep, Author of Pain, Pelvis Chestly and Stalker talk about the their experience in the league, and demonstrate roller derby skills in the second half of the show. Wally has a lively discussion with restaurateur, Terry Keene, of the Artichoke Cafe. Terry and his wife, Pat, have been operating Artichoke Cafe for 29 years. This segment features a history of the restaurant as well as the changes that have occurred in the East Downtown area in which the restaurant operates. The ABQ Show visits Sydney Graczyk of Make-A-Wish New Mexico. They discuss how Make-A-Wish benefits children with critical illnesses every year by granting them a wish that changes lives, forever. The ABQ Show visits with Lynnette Haozous and Staci Drangmeister about the Harwood Art Center’s upcoming event: Encompass, a unique multi-generational art event. Encompass starts with a Community Celebration: Saturday, March 2 from 5 – 8pm at Harwood Art Center, 1114 Seventh Street NW, Albuquerque, NM 87102, and the exhibitions run: March 2 – 28, 2019. The second segment of the show features the work and process of artist, Lynnette Haozous. Lynnette will be a featured artist at Encompass. Lynnette works in many mediums including acrylics, spray paint, stenciling, sculpture, recycled materials, and screen printing. You can see more of her work on Instagram. The ABQ Show visits with Montgomery Dillavou, CPA about recent changes in tax law and how New Mexicans are impacted. Monty’s firm also has a free app that helps to keep record of your mileage, receipts and other required tax information for businesses. 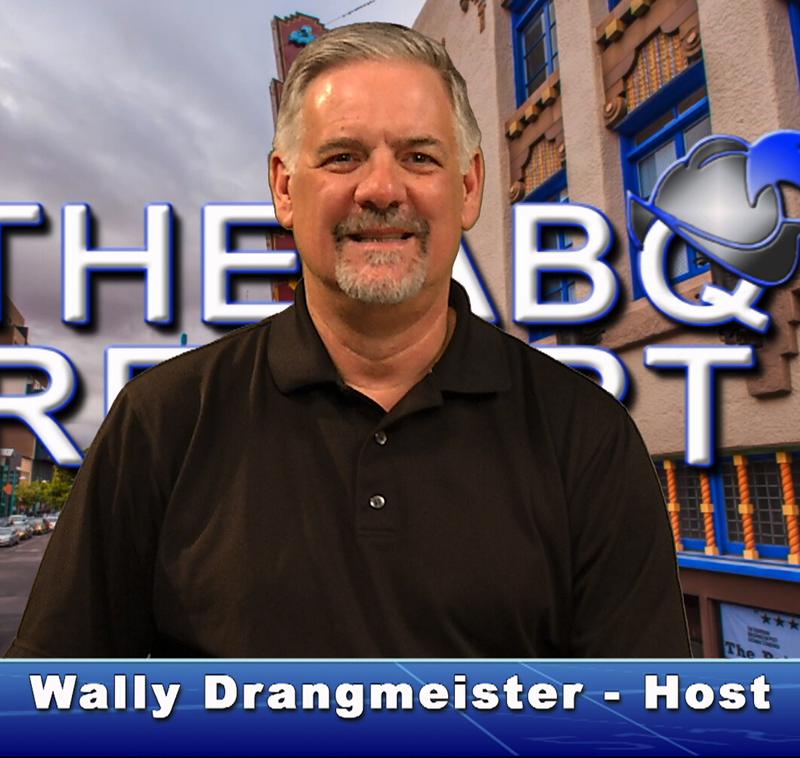 Monty and Wally also discuss New Mexico’s gross receipts tax, and why every new business needs to be aware of this tax. Hear a lively conversation with Angela Reed Padilla of Big Brothers Big Sisters of Central New Mexico. Hear about how the mentoring programs are positively impacting the youth of Albuquerque and across the state. And learn what you can do to volunteer to help this great organization fulfill its mission to defend every kid’s potential. Since Wally Drangmeister is a big brother in the program and Angel is a big sister, you will also hear some their inspirational experiences with the program. Wally Drangmeister visits with T.J. Cook of ABQid. ABQid is a business accelerator that employs a lean startup customer-validation methodology that helps new businesses focus their early efforts on serving real customers. You will hear about success stories that show how ABQid’s approach is helping businesses in Albuquerque achieve real results. The 2019 National Senior Games will be held in Albuquerque on June 14 – June 25, 2019. To date, over 5,000 athletes from across the United States have registered to complete in the games. In addition, 1,800 New Mexicans have qualified for the games representing 28 counties and 121 communities and pueblos across new Mexico. The event is still looking for volunteers to help produce this event that will feature 20 sports at venues in Albuquerque, Santa Fe, Santa Ana and Cochiti. To volunteer for the event call 505-210-1930 or send an email to volunteer@nsga.org. If you or your organization are interested in sponsorship opportunities contact Hazel at htull-leach@cabq.gov or 505-768-3316. You can also get information about volunteering, sponsorship or attending the games at nsginabq.com. The ABQ Show visits with Jim Garcia of the Albuquerque Hispano Chamber of Commerce. Jim discusses the mission and programs of the Chamber and highlights the upcoming La Noche Encantada, the black tie event of the year with cocktails, gourmet dinner, concert, dancing and after party. The ABQ Show welcomes Stacy Sacco. Stacy is professor, entrepreneur and skilled networker and relationship builder. One of Stacy’s many projects is an awesome website – NMNetLinks.com. This site has a wealth of content including local job openings, business events and lists of many types of businesses and organizations in Albuquerque and across New Mexico. Stacy has also developed some great content highlighting what is great about Albuqerque including 101 Things Burquenos Can Brag About and Things to Do for People with Discerning Tastes.